For over 30 years Dan LaRosa has been recognized throughout the world as one of America’s Premier Hypnotists. His shows and motivational workshops have been presented throughout the United States, Europe, and the Caribbean. Most recently, Dan performed on the aircraft carrier USS NIMITZ for military personnel returning from the Persian Gulf. His theatrical hypnosis performances are captivating, thought provoking and fun for all! You won’t believe what audience members do when they’re hypnotized! Dan LaRosa invites audience members on stage and uses the power of hypnosis to turn ordinary people into extraordinary stars! Imagine! Watching your friends or family on stage performing like famous rock stars… Seeing some adults believe –and act like — they are only 5 years old…Witnessing people you know dance around believing they are prima ballerinas. You will be amazed! That is if you can stop laughing long enough! You may wonder how he does it but you’ll be laughing so hard you won’t care! See the show or be part of the show. But don’t you dare miss the show! Have fun with Comedy Hypnotist Dan LaRosa. Bring your family and friends – you won’t believe what they may end up doing ON STAGE! 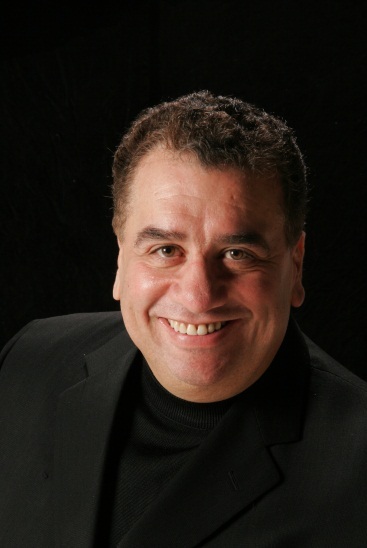 In addition to demonstrating the funny and dramatic side of hypnosis, LaRosa has taught many workshops. Here people learn how to banish unwanted habits, dramatically improve sales and athletic performance, reduce stress, and increase personal power. Dan is a certified master hypnotist and a certified member of the National Guild of Hypnotists. Plan to attend one his motivating Live Your Dream workshops when one is scheduled in your area. Got Questions About Hypnosis or Dan’s Shows?